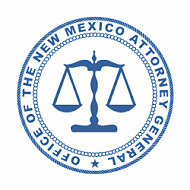 New Mexico Attorney General Hector Balderas has joined a coalition of eight attorneys general in filing a lawsuit against the U.S. Environmental Protection Agency (EPA) over its failure to implement and enforce landfill methane regulation. The regulation reduces landfill emissions of volatile organic compounds, air pollutants, carbon dioxide, and methane. It went into effect Oct. 28, 2016, but the EPA has not implemented or enforced it. New Mexico adopted plans and regulations to comply with the rule in May 2017, but Balderas says the EPA has not fulfilled its duty to approve and implement those provisions. Instead, he says, with no legal basis for delaying implementation and enforcement of the regulation, the EPA stated it intends to complete a reconsideration of the regulation by Spring 2020. Landfills are the third-largest source of human-related methane emissions in the U.S., accounting for approximately 18.2 percent of national emissions in 2015. The Clean Air Act requires the EPA to regulate all categories of stationary sources – such as landfills – that cause or contribute significantly to air pollution that may endanger public health or welfare. – 1.1 million homes’ electricity use for one year. • Protecting against pollutants that cause asthma and other respiratory diseases, especially among the country’s most vulnerable populations—its youngest and oldest residents. • Protecting against cancer-causing hazardous air pollutants. Joining Balderas in filing today’s lawsuit are the attorneys general of California, Illinois, Maryland, Oregon, Pennsylvania, Rhode Island, and Vermont. The California Air Resources Board and the Pennsylvania Department of Environmental Protection are also a part of the coalition.